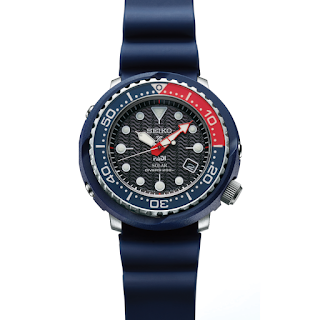 Here’re a couple of cool shrouded divers heading our way this summer; the Solar Diver’s 200M Ref. 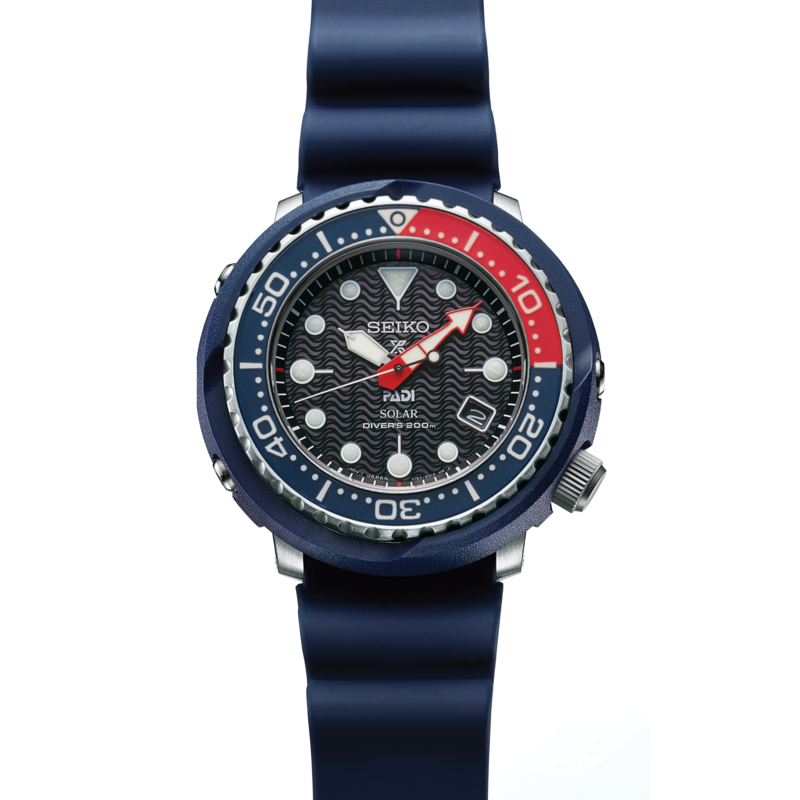 SNE498, as worn by new Prospex partner, Fabien Cousteau and a special PADI version Ref. SNE499. 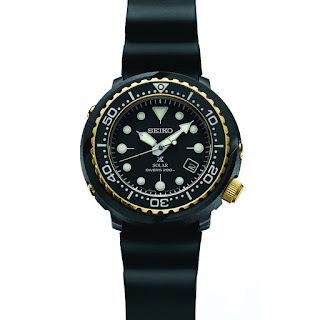 Basic features of the watch include: a Stainless steel case with black hard coating plus gold color coating measuring 46.7mm in diameter by 12.4mm thick with magnetic-resistance up to 4,800 A/m and a water-resistance up to 200m. 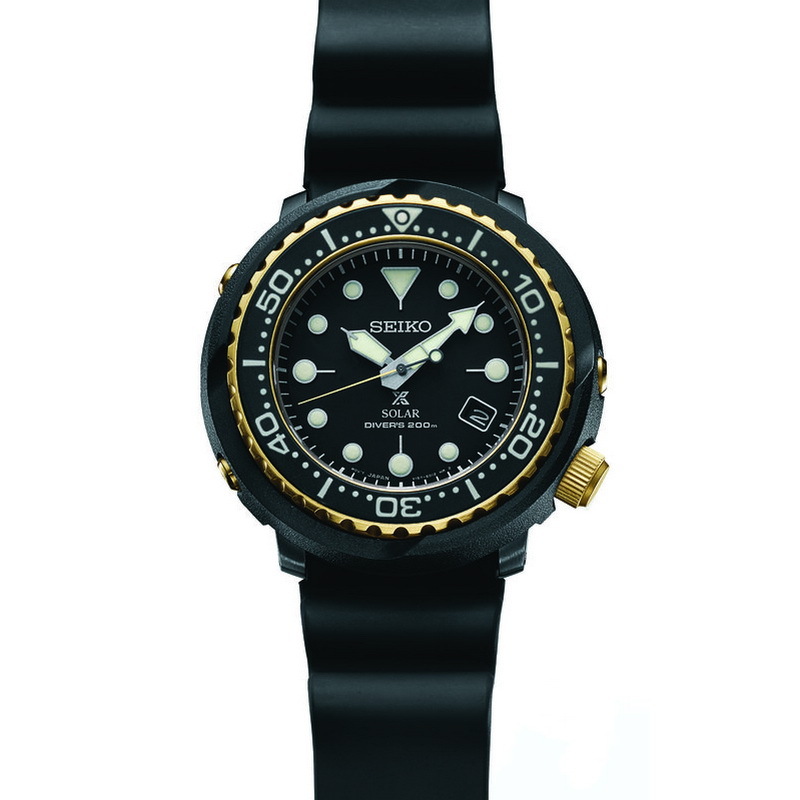 Power comes by way of Seiko’s daylight-powered, Caliber V157 with an accuracy of +/- 15 seconds per month (between 5°C and 35°C). Approx. MSRP of the watch should be 420 €.